The battle of Waterloo took place during the Belgian campaign on June 18, 1815. The French were totally defeated by both the Anglo-Dutch coalition led by Wellington and the Prussian army led by Blücher. The defeat led to the Fall of the First Empire. – The “Ferme du chantelet” (3 miles from Genappe): Maréchal Ney's headquarters on the night of June 17 to June 18. -The “Ferme du Caillou” (on the N.5 towards Brussels): Napoleon's headquarters on the same night and the location of a museum set up by the Belgian Society for Napoleonic Studies in 1950. The aides-de-camp's common room, the dining room, the Emperor's room, and another adjoining room are full of interesting memorabilia. In the orchard, a memorial was built in honour of the infantrymen of the Imperial Guard. – Saint Joseph's church with its 27 commemorative plaques, its white marble monument by Geefs, and its bas-relief made of bronze all dedicated to the allied soldiers, acts as a temple consecrated to the battle. A bust by Adams representing Wellington is also kept there. – The Wellington museum: administered by the Friends of the Wellington Society, this inn and coach station in which the Duke spent the evenings of June 17 and June 18, was turned into a museum dedicated to his memory. Both his room and that of Gordon, his aide-de-camp mortally wounded during the battle, are open to visitors. This is where Wellington wrote his famous victory bulletin. – The “Maison Pâris” (214 chaussée de Bruxelles): Lord Uxbridge's headquarters on the night of June 17. – Saint-Etienne church: used as a hospital for a short while after the battle. – Hougoumont farm (follow the “Goumont” signpost): one of the most famous sites related to the battle. There are many commemorative plaques and a few tombs in the orchard. At the bottom of the orchard, the only monument ever to be dedicated to the French soldiers killed at Waterloo was erected in 1913. 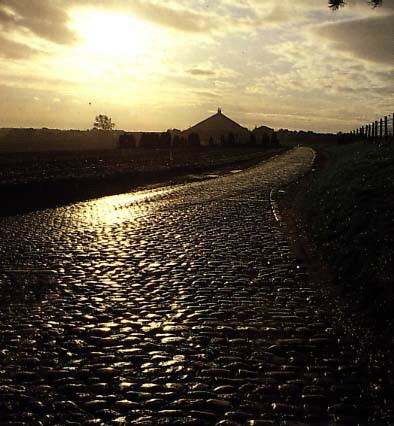 – The Lion's Mound: this enormous mound (130 feet high and 500 yards wide) was raised at the exact place where the Prince of Orange was wounded at the end of the battle. Topped by an cast-iront lion symbolizing a victory heralding European peace, it offers a fine view of the battlefield. A great many memorials stretch along the road from the mound: General Picton's stele, Inniskilling English memorial, Belgian memorial, Hanoverian memorial. – Papelotte farm: main support of the Anglo-Dutch army's left flank during the battle. – Mont-Saint-Jean farm: turned into a country hospital for the Anglo-Dutch army during the battle: the Prince of Orange and Gordon were taken there. – Holy Hedge farm: an Anglo-Dutch position taken by Maréchal Ney. – The farm of the Great Alliance: Blüchner and Wellington met there on the eve of the battle. – Victor Hugo's column: a memorial dedicated to the writer who celebrated the Napoleonic epic. – French memorial of the Wounded Eagle: a sculpture by Gérôme unveiled in 1904 and dedicated to the last soldiers of the Great Army. – The hills of Rossomme: where Napoleon had set up his observation post at the start of military operations. – Plancenoit village: Prussian memorial unveiled on June 18, 1818. A short distance away, a stele was erected by the Napoleonic Foundation and the Franco-European Association of Waterloo in memory of the Emperor's young guard led by General Duhesme.